The Loden Foundation and HELVETAS Swiss Intercooperation in Bhutan signed Memorandum of Agreement for 18 months to strengthen student entrepreneurship in Bhutan. The Loden Foundation is honored to partner with HELVETAS Swiss Intercooperation in Bhutan to further strengthen Loden’s Student Empowerment through Entrepreneurship Development (SEED) programme in the colleges and technical training institutes across the country. The support “Support to Civil Society in Bhutan (SCSB)” is funded by the European Union (EU) and managed by HELVETAS Swiss Intercooperation, country office, Bhutan. We are experiencing a rise of entrepreneurship among the youth as compared to the past. The government and state institutions have made impressive progress in setting up a conducive business ecosystem including improving the ease of doing business, providing training and skills development, and making financial support available through various avenues. To complement the government’s efforts and to inculcate the spirit of entrepreneurship while the youth are still in school, Loden piloted the SEED project in 2014 in colleges and technical training institutions. With this new partnership and support, Loden’s SEED activities will be further strengthened. By September 2020, with funding support from EU that is managed by HELVETAS Swiss Intercooperation in Bhutan, Loden will not only lead more entrepreneurship training in 17 institutions around the country but also provide interest and collateral free loans to student-led businesses within the campus in order for the aspiring student entrepreneurs to get a hands-on experience of running a business. 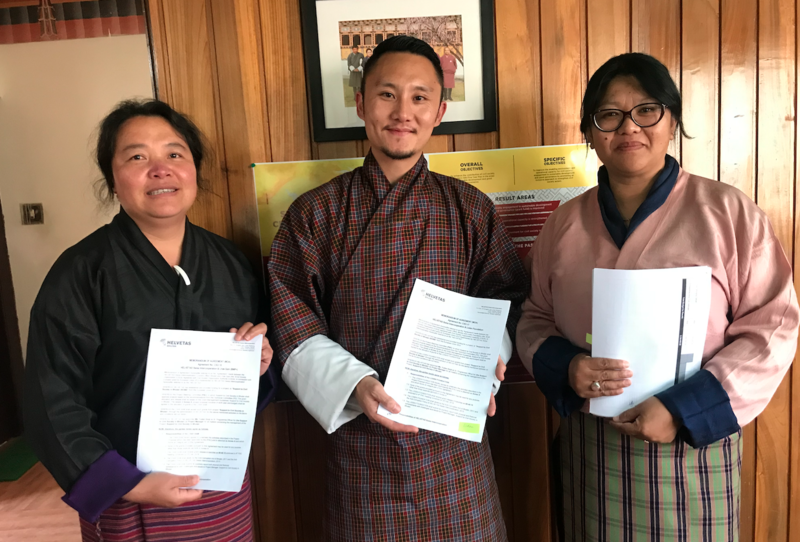 Through this support, institutions can also establish entrepreneurship clubs that will lead more activities and be a part of Druk Tshongrig Gatoen – a nationwide event to celebrate entrepreneurship in Bhutan. The Loden Foundation extends heartfelt gratitude to EU support through HELVETAS Swiss Intercooperation in Bhutan for supporting this project and other projects led by 11 civil society organizations and 12 projects by various community based organizations who received the support during the December 2018 call for proposal.